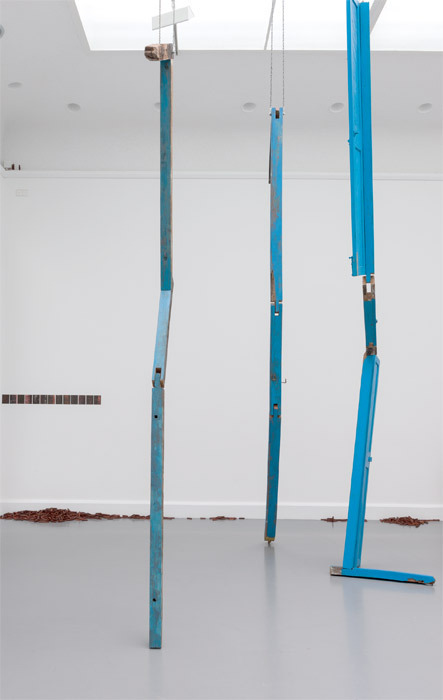 Sheela Gowda, Of All People (detail), 2010–11, wood, metal, enamel, oil paint, ink-jet print on paper. Installation view, Van Abbemuseum, Eindhoven, the Netherlands, 2013. Photo: Peter Cox.